Vinnie won a major at the PWDCA National Specialty at a mere 13 months old!!!! So proud of this young man. His future is bright! 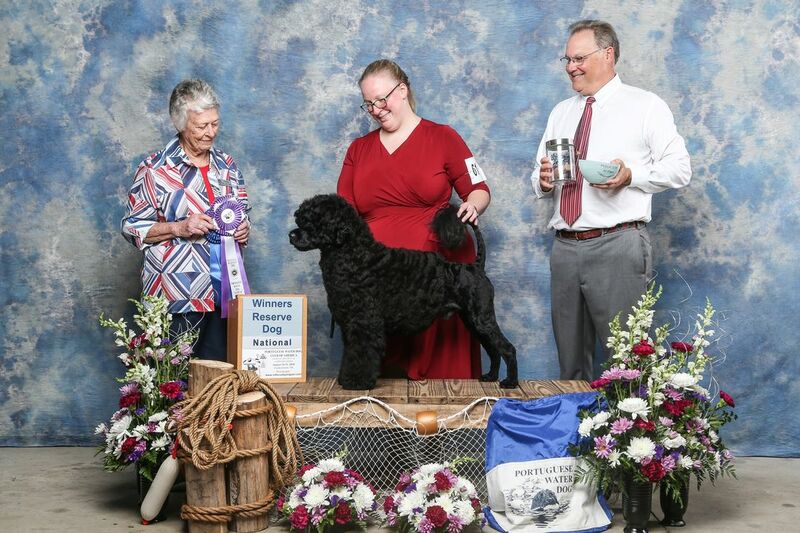 By 14 months of age, Vinnie achieved his AKC championship in limited showing! He'll now stay home and grow up, being shown selectively on occasion. Eyes clear: PW-EYE2852/18M-VPI; clear by parentage for GM-1. PRCD non-carrier. IC normal. Carries the brown gene. Too young to OFA for hips (preliminary x-rays normal). Not yet tested for JDCM. DNA Profile #V867649. Enjoy the below photos of Vinnie.